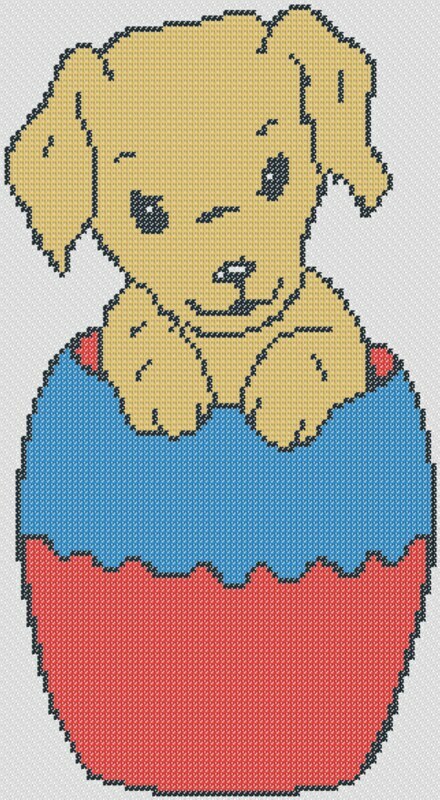 This is one of our free printable Easter cross stitch patterns named Easter Puppy, a cute and simple pattern that would be great as a project for your Easter project or if you are looking for patterns to get your young ones started with cross stitch. Each of our pattern conveniently includes a color key and sheet. If you use one of the free cross stitch patterns from CrossStitch4Free.com for a project, feel free to contact us and include a picture of your completed project to be included in our web site.